Nu-Heat were tasked with the design and supply of a bespoke underfloor heating (UFH) system for the conversion of Sutherland House, a former commercial building in Kingston-upon-Thames. 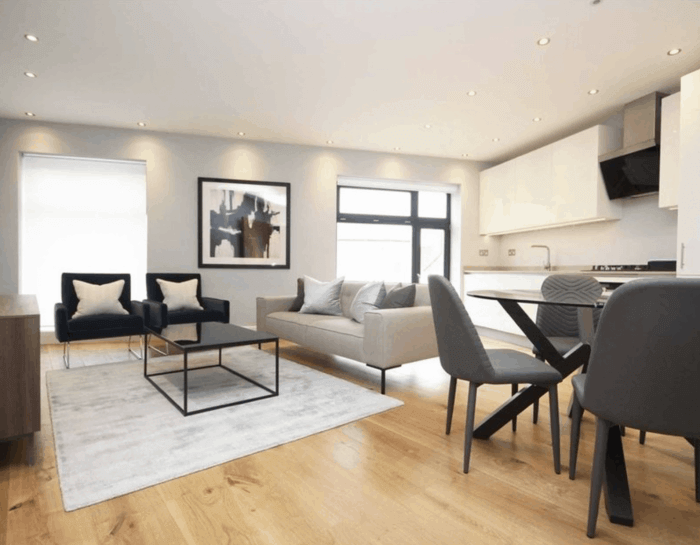 The property has undergone extensive conversion to create six, centrally located, luxury apartments. The apartments are situated within walking distance of Norbiton mainline railway station, providing direct access to London Waterloo. 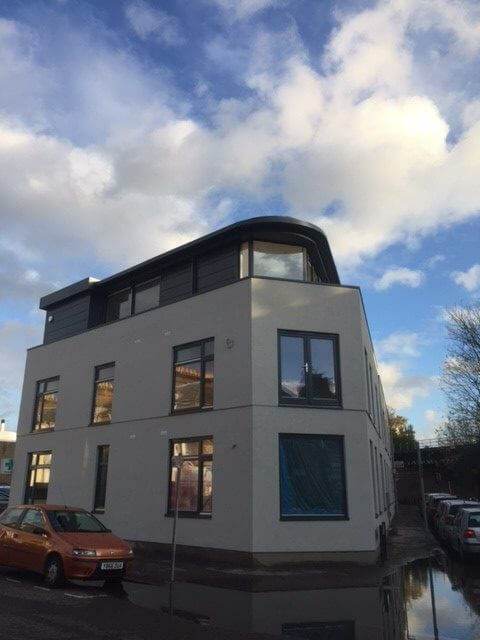 Increased insulation levels in the property had already raised the previous floor level, so it was imperative that the UFH was low-profile, whilst also providing a reduction in airborne and impact noise between apartments. 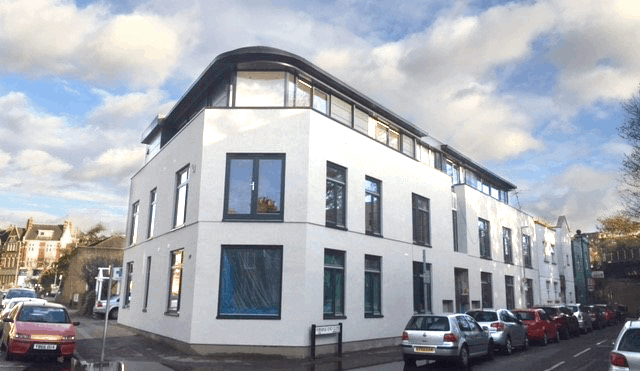 Nu-Heat specified and supplied AcoustiPanel®14 for the first and second floor apartments, 366.2m2 in total. This low-profile, high-performance underfloor heating system offers independently-tested outstanding acoustic performance, significantly reducing airborne and impact noise between apartments. 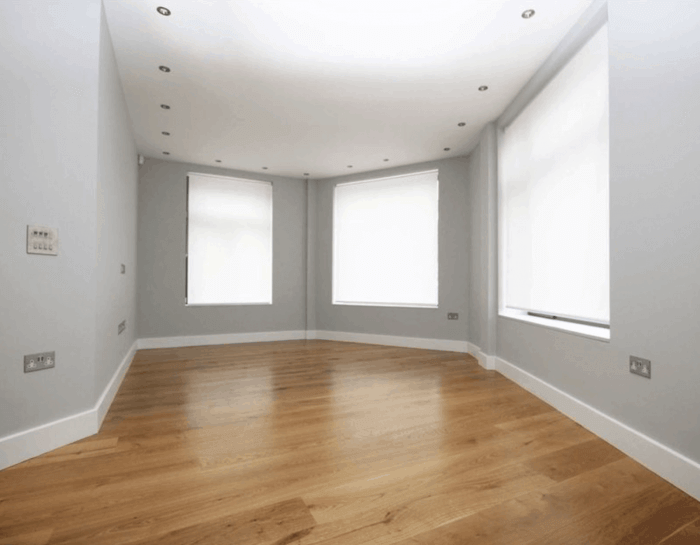 AcoustiPanel®14 is ideal for Sutherland House, as its ultra-smooth surface is ideal for its luxury, contemporary floor finishes. 189.1m2 of Nu-Heat’s SC14 screed underfloor heating was specified for the ground floor level accommodation of Sutherland House. The system consists of 14mm FastFlo® UFH tube held in place by Cliptrack, topped with a layer of hand-laid sand and cement screed.